We hope you’re all managing to stay well through all the Smog and Cold Weather of late. I hear from a friend that the air is actually cleaner down in LA. Hmmm, maybe I should have moved there after all . . . . NAH! Thankfully, the rains are coming. Hopefully it will help our Fire Fighters and clear the air. 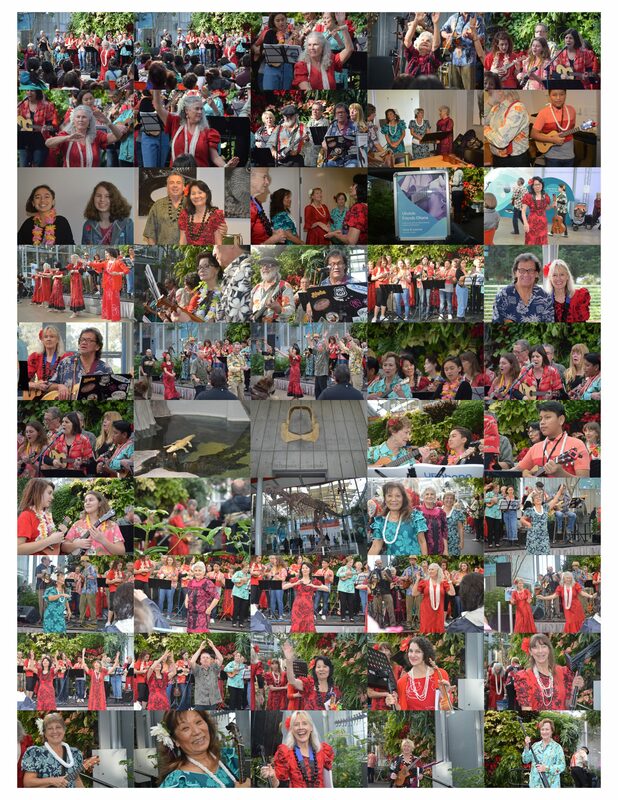 We will be gathering this Friday at the UFOHQ for our Annual T-Day Hana Hou Kanikapila! For the newbies out there, this is where we encourage you to bring your “homeless” T-Day left overs to share with your ‘Ohana. We are gathering at our usual time of 7-10p, BYOMusicStands, I think we are good for chairs, and BYOBeverage, in case you need something ‘extra’ to wash down that left over whatevers. Oh, and don’t forget to BYAloha and DA’ GRAVY! This Saturday we’re back at the UFOHQ once again at our usual time of 2p-4p. BYOBev&Snacks & T-Day Leftovers (if you like), BYOMusicStands and more Aloha if you can spare some. Again, if you’ll be attending this week and wish to RSVP a seat, please text me at 415-300-7804 with who you are (I don’t always get a name if you’re not in my contacts list) and for how many seats. Btw, you may have noticed that the blog appears a little different? That’s probably because it is. I’ve switched to a hosting service that provides for more features than the last, at less cost. One notable feature being an Upcoming Events Listing (off to the right side of the page). At the very bottom of the events list there is a View All Events link that will show a month view of events. Very nifty huh? You may want to check out the December 1 and December 2 events for the SMART Train Toys for Tots Kanikapila. Hopefully some of you will be able to make at least one of the events, if not both. . . . . we now return you to your regular programming . . .
Mahalo Craig and Nohea for the great photos! day burns into night . . . Looking over the past year of Kanikapila Images really makes Nohea and myself thankful for being part of such a fun, giving and caring ‘Ohana. Never have we felt more like a family . . . we are truly blessed . . .
Hau‘oli Lā Ho‘omaika‘i (Happy Thanksgiving) and hope to see you all soon! Next PostNext 112618: Winter Ball-Prom Night at the Elks!